Posted by Gerald Lombardo on Wednesday, February 13th, 2019 at 1:17pm. This newly constructed, world-class, custom North End residence has been designed by Fairfax & Sammons Architecture, with picture-perfect landscape design by Nievera Williams, and expert construction and interior finishing details fully executed by Beacon Construction Group. This 100% new, two story Palm Beach home is the epitome of classical architecture and modern living spaces, utilizing custom wood, stone, marble, and finishing details throughout. This experienced team of Palm Beach professionals delivers 4,600 square feet of traditional Palm Beach living, enjoyment, and entertaining space, featuring 4 bedrooms + guest house, four and a half baths, elevator, office, master suite with bonus room, a world-class kitchen, a two-car enclosed garage, and custom heated swimming pool.This new residence also comes with easement, private beach access. 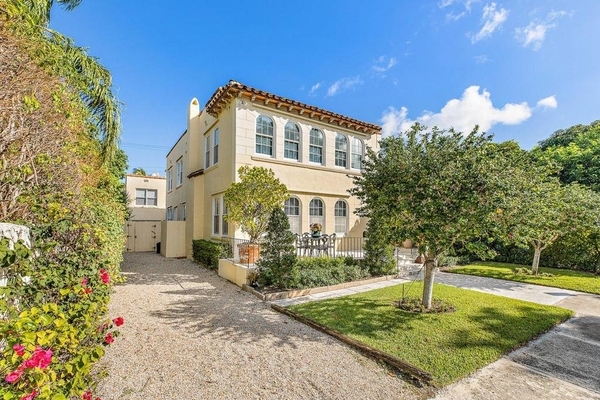 This graceful two-story Mediterranean style home is situated on one of the best streets in Palm Beach just one block from the ocean ''in-town''! The sunny and bright main house is open and spacious and features 5 BR/4.5 BA, a first-floor den/study, a large family room, a formal dining room and a gourmet kitchen with top of the line professional grade appliances. 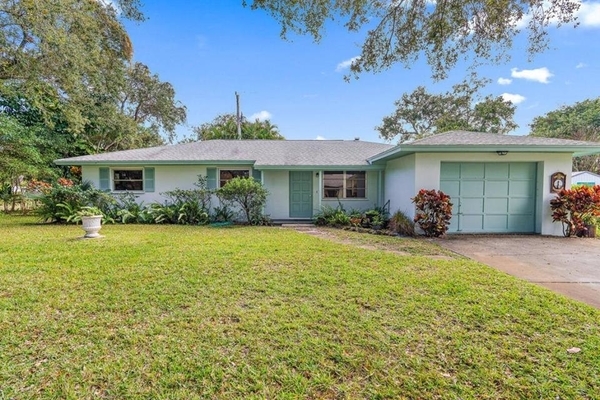 Additional features that make this home so special include Dade county pine floors throughout, high ceilings, large rooms, big windows, a Coquina stone fire place and a 3-zone a/c system. The poolside guest house has 2 bedrooms, 2 baths, kitchen and living area with endless options for flexible usage. The long pebble driveway accommodates multiple cars. Located in the center of the action yet secluded.Close to the hottest new shopping and dining choices in town yet on a street with very little through traffic. 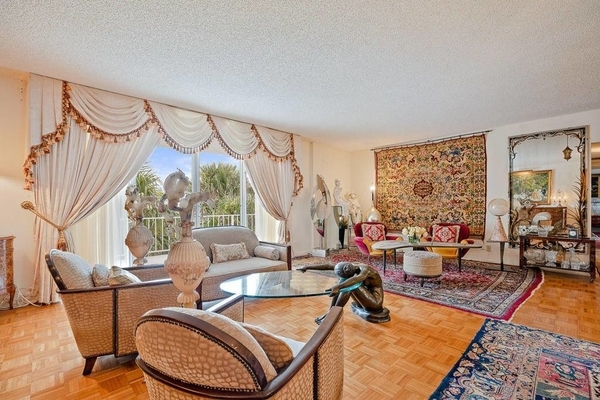 Beautifully designed luxury residence located in the highly sought after Palm Beach condominium building of the Winthrop House. The Winthrop House is a full service community located right on world renowned Worth Avenue, right in the middle of Palm Beach and close to the best shopping, dining, and entertainment. Motivated seller and priced to sell! Beautiful and serene lakefront location on a quiet cul-de-sac. Mature landscaping with a dozen palm trees. Volume ceilings with arched interior doorways and transom windows. French doors open to pool and 4th bedroom/office. Lake views from almost every room. New carpet in master. This home is original and needs kitchen/bath updating. Being sold ''As Is''. Great opportunity to live on the 'Christmas Tree' Street! The beautiful tree-lined street of Snug Harbor Estates is one of Palm Beach Gardens most desired neighborhoods. 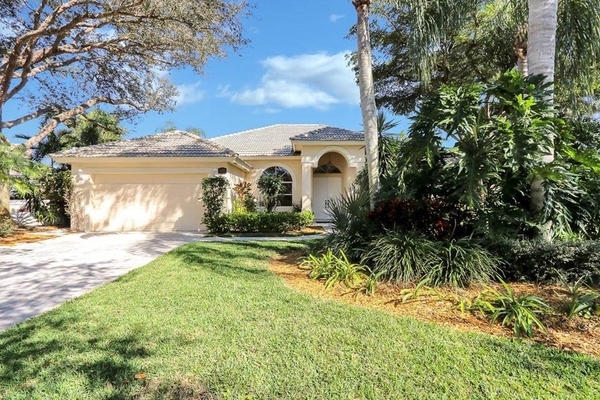 The home has been well maintained and sits on a third of an acre. There is no HOA. The home is move in ready but most likely its new owner will want to make it their own. Close to shopping, restaurants, entertainment, I-95, Turnpike, Palm Beach State College, pristine beaches and so much more! Here is your Piece of paradise ''Cielo''! A little hidden gem located in Palm Beach Gardens. This gated community is built by Lennar and has only 155 homes. 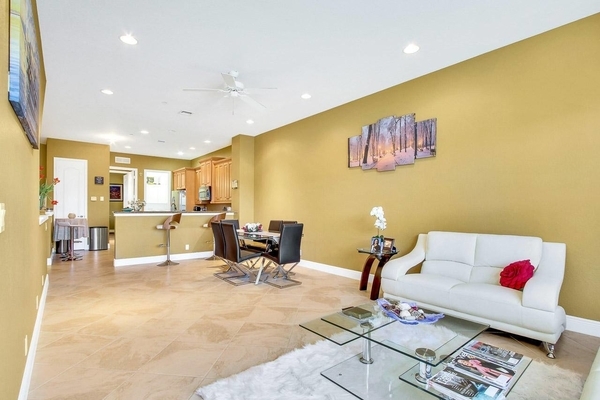 The home offers 3BR/3.5BA/2CG plus an office/den located on the first floor. Kitchen with stainless steel appliances and granite counter tops open to the living room with lots of natural light., breakfast bar and 42' cabinets. Second floor has a guest bedroom with a full bath. Top floor hosts the master bedroom that has 3-closets & large bath with double sinks, walk-in shower and Jacuzzi tub. The 2nd bedroom is bright and spacious & offer it's own bathroom. The home has wood floors in master bedroom and living area. Shows like a model!! !A number of fine restaurants and I-95 equals close proximity to Palm Beach International Airport and a 10 -15 minute commute to our famous beaches and plethora of golf courses. Please call Marcie for gate access!